An agency is only as good as its people. And that’s why Infinity Marketing is so good. Tony Williams and the executive team work hard to attract and keep the best and the brightest talent for our partners. Meet the fearless leaders, media wizards, graphic design gurus, social media stars and digital media pioneers that make our clients successful. Abbey manages clients within the Retail and Manufacturing group at Infinity. Previously, she held the position of Communications Manager at the Home Builders Association of Greenville. Abbey is a graduate of Furman University, where she earned her degree in Communications. LOVE OR HATE ROLLER COASTERS? Aimee began interning in May of 2018 on Infinity’s DJ Endorsements team. She received her Bachelor of Business Administration in Marketing at Stetson University in Florida. Her prior experience includes an internship with the Ronald McDonald House and serving as the Event Director for Kappa Alpha Theta at Stetson University. Pride and Prejudice. Always a classic. A green 1998 Honda Passport. His name was Peter and we had some lovely times. Amber comes to Infinity with over six years of marketing experience. She has held positions with CK Advertising in Fort Myers, Florida and most recently worked with Trilia Media and EP+Co. Amber earned her degree in Communication from Florida Gulf Coast University. WHAT ABOUT YOUR JOB ARE YOU MOST PASSIONATE? The relationships that are built within the agency and community. Andrea is responsible for media invoicing, setting up client files, and assisting the media buyers with billing and invoicing. She has more than 10 years of general office and secretarial responsibilities. She worked as the executive assistant to the CEO at Ryan’s corporate office. Andrea is a graduate of Bob Jones University with a bachelor’s in office administration. ONE THING AT WORK YOU CAN’T DO WITHOUT? Coffee — Gotta have it! Neither, Windows Phone is the way to go! Anna is new to Infinity as a graduate from Bob Jones University in Greenville, SC where she received her degree in applied science in business. Anna also has her license in cosmetology from South Carolina. She will be a strong asset to Infinity through organizing and maintaining the office. How many states have you lived in? Two (Maryland and South Carolina) in the US. And I also lived in Brazil for 8 years. Cars & Planes. Places to go, people to see. 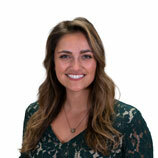 Ashley joins Infinity as a Marketing Coordinator for Infinity’s Telecommunications team. She previously was a Brand Manager and Sales Assistant at Your Creative People in Greenville, SC. She is a graduate of Bob Jones University where she earned her degree in Business Administration. 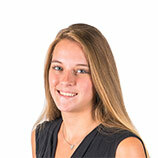 Bethany has 2.5 years of media experience, most recently working with Canal Insurance. She has held several relevant positions in the Greenville area including Town Carolina and the Peace Center along with an international opportunity with the Festival Theater in Edinburgh, Scotland. Jane Eyre for both! Go watch the BBC’s 2006 series, you’ll thank me later. 2! I was born in PA but grew up in SC. Bill works closely with the media department to develop strategic media plans and to ensure execution meets client standards. He is an accomplished business professional in the areas of marketing, management and public relations. He previously held key positions at Media General. Bill graduated from Miami University with a bachelor’s in mass communications. Been to Cedar Point a dozen times — enough said! As the VP of Client Services, Bo develops strategies and approaches to secure new business at Infinity. He previously worked for Spinx in the marketing department. Bo is a graduate of the University of South Carolina Upstate, where he earned a bachelor’s in communications with an emphasis in electronic media. Find the positives in every situation. WHAT DO YOU LOVE MOST ABOUT GREENVILLE, SC? No. I prefer scars, they have better stories. Brandon originally joined Infinity as a graphic design intern and now serves as the creative team manager. He designs and oversees marketing collateral material for numerous key clients. He has many years of graphic design experience. Brandon is a graduate of Anderson University with a degree in graphic design. Can I get some more pepperoni please? Carly has previous experience working as a Media Buyer and Account Executive in her most recent position with Erwin Penland. She earned a Bachelor of Arts Degree in Journalism and Mass Communications from the University of South Carolina. In her role as Senior Media Buyer, Carly provides strategic planning and guidance for media buying to a variety of Infinity’s clients. Cook, if my husband’s the one cooking! Soft pretzels. Yum. But anything with salt works. Small town feel within a city big enough to offer anything you could want. Charmaine assists with various production functions, including invoice processing, billing and auditing. Her previous experience includes more than seven years in the telecommunications industry; she has held marketing positions with InterMedia Partners and Charter Communications. She is a graduate of the College of Charleston where she earned a bachelor’s degree in communications. Always go with your gut instinct, and trust in God. As Media Buyer, Chelsea collaborates internally and externally to develop and execute media plans for clients. She is a graduate of Furman University where she earned a Bachelor of Science in Psychology. Prior to joining Infinity, Chelsea was the Development Coordinator for the Greenville Humane Society. Chris’s area of expertise? Streamlining reporting across all client accounts. 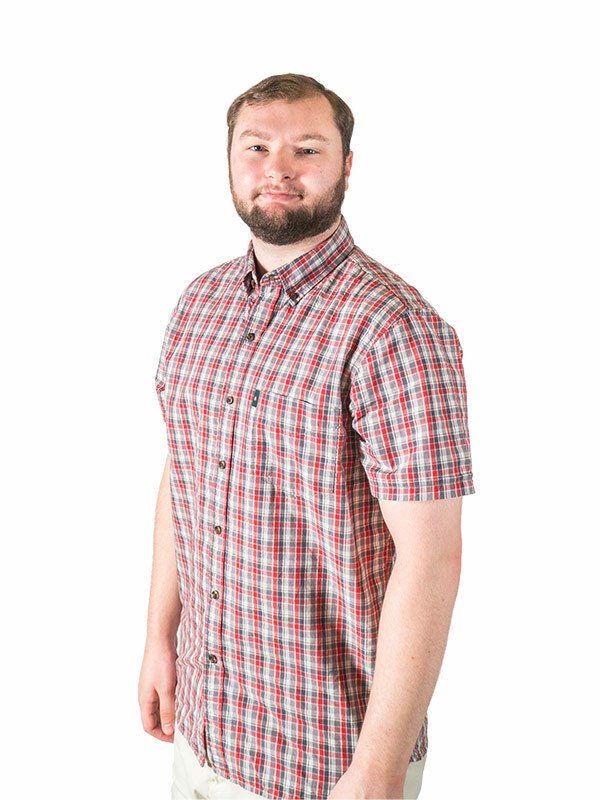 As Senior Data Analyst, Chris tackles everything from media metrics and media plans to market research. He is an alumnus of Clemson University, where he earned a bachelor’s in marketing with a minor in advertising. An Atlanta native and Georgia Bulldog, Curt is a brand builder and creative strategist with a passion for making good things happen. He has worked in leadership roles with business-to-consumer companies on the agency side as well as the client side, and he also led his own marketing agency. Before joining the Infinity team as Creative Director, Curt worked for GoConvergence as a Chief Marketing Strategist. Dana provides guidance for our education and financial services clients and coordinates research, media kits and reports with her team. She previously worked as a campaign manager for Modern Marketing Inc., where she was responsible for the management and training of team members. She is a graduate of USC Upstate with a degree in communications. Darian hails from Duquesne University in Pittsburgh, PA where she earned a degree in Integrated Marketing Communications with a Minor in Business Management. She has a background working in various marketing positions and managing social media accounts within organizations. Three – New York, Pennsylvania and South Carolina. Kettle-cooked sea salt and vinegar chips. David, Infinity’s Business Manager, joined the company in 2012. Prior to Infinity, he had a long career in telecommunications and held executive positions at Cencom Cable, Hallmark Communications and Charter Communications. David is responsible for all aspects of the financials, from budget projections to expense management processes. Elaine joined the Infinity family in 2008 and started out as an office assistant. Through hard work and dedication, she successfully moved into an integral new role as an business services supervisor. She is responsible for accounts payable, accounts receivable and software maintenance. Elaine is a graduate of Michigan State University with a degree in marketing. Don’t spend time worrying about the things you can’t change. Ericka manages the media planning, buying, account coordination and strategy for key telecommunications clients. Her client base spans more than 13 states across the country. She has more than 12 years of experience in the marketing and advertising industry. Ericka attended Miami University, where she earned a bachelor’s in mass communications. Umm, I have an Env from several years ago. 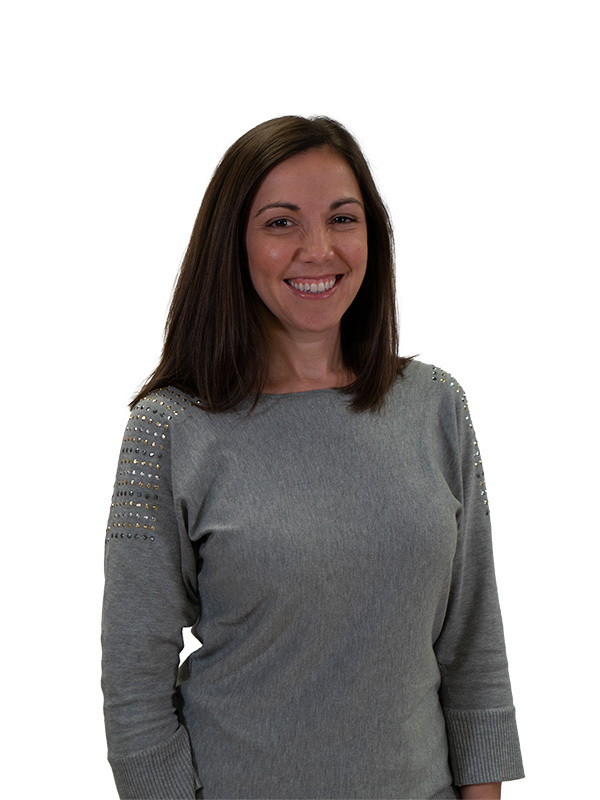 As Social Media Specialist, Gina develops and implements content for client social media accounts. She earned her Advertising degree from the University of South Carolina. Previously she worked at Infinity as a Social Media Intern. One, but I’ve visited 49! GMC truck… which I crashed… after two weeks of owning it. A jack-of-all-trades, Heather works with one of our telecommunications teams, assisting with traffic, media buying and planning, and more. She has six years’ experience in business management, including various accounting, payroll and human resource functions. She has a degree in marketing from Greenville Technical College. 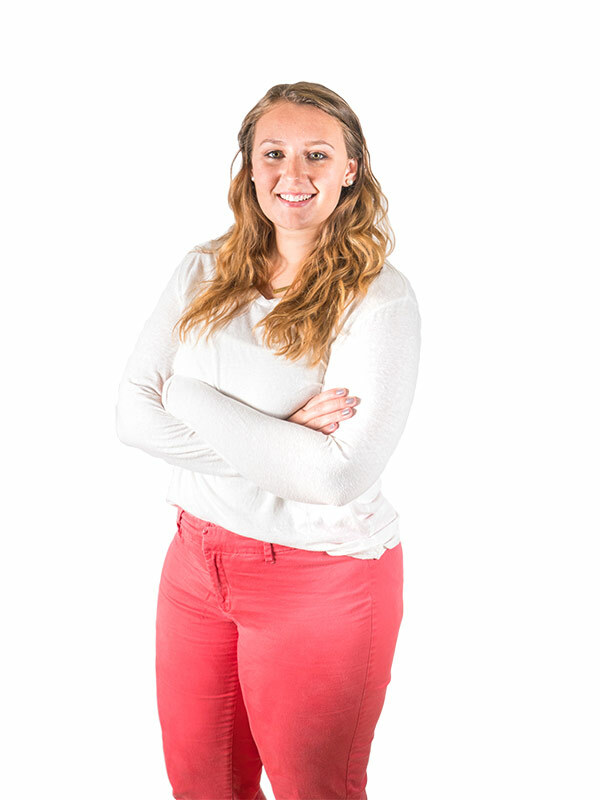 Heidi started with Infinity as an intern during the summer of 2013 and now works as Senior Graphic Designer. Some of her duties include working with the Comcast team and internal agency design. Heidi graduated from Anderson University with a degree in graphic design. She has previously worked at CSI Techonology Outfitters in Greenville. LOVE LOVE LOVE — Let’s go upside down. Only if it was gold, and I could change it every day. As a media buyer, Hilary coordinates the media plans and buys for our financial clients. She is a graduate of the University of South Carolina Upstate where she received a Bachelor of Science in business administration with an emphasis in marketing. Prior to joining Infinity, Hilary worked as a public relations and marketing intern at Flourish. It’s home to me. Most of my family and friends live here. As a key member of Infinity’s leadership team, Jane is a strategic adviser for clients and partners, supplementing our expertise in local market execution and customization. Jane has more than 20 years of full-service, national advertising agency experience and a B.A. from Washington & Lee University in Lexington, Virginia. WHAT DO YOU LIKE MOST ABOUT GREENVILLE, SC? Jeanne started at Infinity as a Digital Media Assistant in 2015. Now, as a Digital Strategist, she develops campaign plans and strategies and manages the daily execution of display and search campaigns. Jeanne is a recent graduate of the University of South Carolina with a degree in Advertising and worked as a communications intern for Cancer Survivors Park Alliance prior to joining Infinity. Good friends, good food and dogs. John comes to Infinity from his most recent position with Suddenlink Communications in St. Louis, MO after 14 years in financial operations. John is a graduate of Eastern Illinois University with a B.S. in Accounting. A toss-up between the wheel and the styrofoam cooler. Joshua, an experienced copywriter and editor, supports Infinity’s Creative and Production team as a Copywriter. He will provide writing and proofing for a variety of clients. He has been a Writer/Editor for Enveritas Group as well as an author of children’s and young adult books. Julie has her B.S. in Business Administration with a focus on Marketing and Management from the University of South Carolina. Julie has completed several internships that will help her in her new role; most recently ending one at Redhype in downtown Greenville. As Media Coordinator, she will support the Media team in developing marketing plans for our clients. Love, the bigger the better. Kari manages the entire Creative and Production Department and keeps the work running and flowing smoothly. She oversees all production projects and ensures clients are happy. Kari joined Infinity in 2005 and started as graphic designer, then moved to senior graphic designer. Kari graduated from Anderson University with a degree in graphic design. Work Kari or home Kari? My dad always told me to pay attention to details. Hard to say, but Apollo 13 is a classic that I always want to watch. Kathryn joins Infinity as a Social Media Coordinator. She monitors the online communities for Infinity’s social clients while developing engaging content and tracking key metrics. Prior to joining Infinity, Kathryn was Marketing Coordinator for Hughes Commercial Properties. She is a graduate of USC and has an MBA from Winthrop University. …does extra cheese count as a topping? The people. They are what makes a company worthwhile and successful. 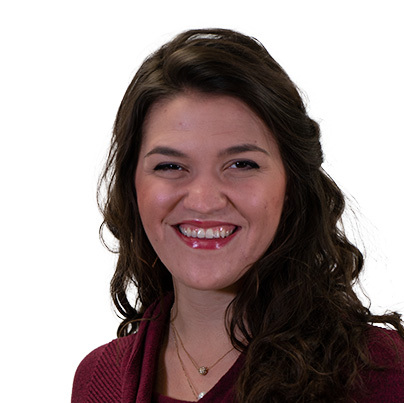 Katie comes to Infinity with award-winning public relations and social campaign experience across varying market segments and industries through her most recent position with Flourish Integrated Communications in Greenville. As Social Media & PR Specialist, she will complement and accelerate the agency’s ability to cultivate reputational social media strategies, key publicity campaigns and detailed event management for clients. Katie graduated from the University of Alabama with a degree in Public Relations and Political Science. In her role as Integrated Marketing Manager, Katie focuses exclusively on managing the development, implementation and execution of Tindall Corporation’s branding and marketing activities on behalf of Infinity Marketing, acting as a liaison between corporate and divisional leaders. The answer is always coffee, right? Katie joins the Infinity team as Graphic Designer after her recent graduation from Anderson University with a degree in Graphic Design. She has previous experience designing websites and newspaper ads as well as branding. Katie also spent time as an intern with Infinity, and the team is thrilled to have her in a permanent position. I’m rather fond of the wheel, we had to start somewhere. Kendal joins the Infinity team on our manufactured housing team. She has over a year of experience with other agencies; most recently with Luquire George Andrews (LGA) as a Media Coordinator. She previously worked in Charlotte, but has relocated back to the Upstate where she used to live. Kendal has her B.A. in Philosophy from Clemson, with a Minor in Brand Communications. ONE THING AT WORK YOU CAN’T LIVE WITHOUT? Baby blue 1997 Honda Accord. I have one and I’m done. 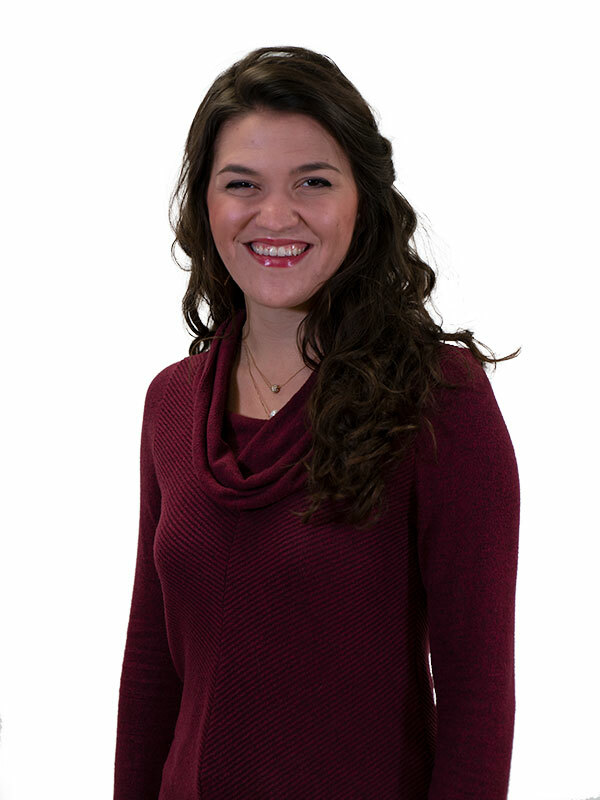 Kendall Nicholson is a graduate of Furman University as a Communication Studies Major with a concentration in Marketing and has completed several valuable internships including time with Feld Motorsport, Hawk McCall Motorsports, and Greer Middle College Charter School. He will be joining the manufactured housing team to support the DJ Influencer program. Working with clients to realize their vision. Two, but I’ve traveled to 46! Only California rolls. Does that count? Kortney is a graduate of the University of South Carolina Upstate with a Bachelor of Arts degree in Communications. She has an impressive portfolio of experience including management of social media campaigns and working as a digital sales associate. Infinity is delighted to have her on the team. Landon has obtained two degrees throughout his educational career; a Masters in Arts in Motion Media Design from Savannah College of Art and Design and a Bachelor of Arts in Mass Communication from North Greenville University. With his extensive background in media, Landon will make an excellent contribution to the team. 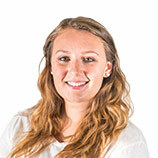 Campbell assists the Creative and Production team as a senior digital creative designer. He is a graduate of Bob Jones University, where he earned a Bachelor of Arts in Mass Communication. WHAT’S ONE THING AT WORK YOU CAN’T DO WITHOUT? Leslie Eriksson started with Infinity in 2013 as a media assistant and has also served as a media coordinator and media buyer. She is now the latest addition to Infinity’s digital team. As digital strategist, Eriksson will develop campaign plans and strategies and manage the daily execution of client campaigns. She is a graduate of Clemson University, where she earned degrees in both marketing and economics. Westlake’s decorated copywriting career has brought her numerous awards and recognition in the marketing and advertising community. Her experience spans a variety of industries, both B2B and B2C, and gives her an understanding of multiple consumer markets. As Senior Copywriter with Infinity, she will write content for clients in all channels, including direct mail, radio, out-of-home, digital media and social. She earned her B.A. in Communications from Rollins College and most recently held the position of Development Writer in Clemson University’s Creative Services office. A yellow ’72 Chevy Nova – crank windows, no air, AM radio. Still miss it. Lindsey manages the creative and production team by developing marketing materials and guiding team members in achieving client expectations. She’s a graduate of the University of South Carolina with a degree in studio arts, with an emphasis on graphic design. Eat out. Anything to avoid doing dishes. As a Graphic Designer, Nalley creates creative marketing materials for our clients. She is a graduate of Anderson University where she earned a B.A. in graphic design. Fear and Loathing in Las Vegas. A cult classic. Vanilla, but with all of the toppings. I’ve got to have my music. It’s the ultimate work fuel. Maura joined Infinity as a graphic designer on the telecommunications team where she participates in creative development and design and provides layouts for a variety of marketing materials. She previously worked as a freelance graphic designer. Maura attended Winthrop University where she earned a Bachelor of Fine Arts in Graphic Design. A beanie, in case of emergency hair situations. 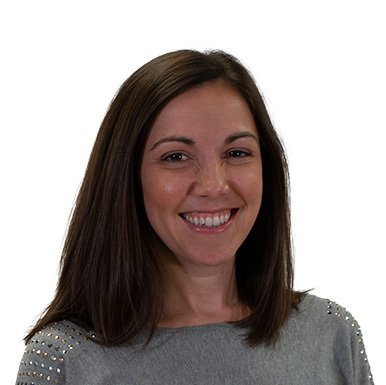 Meghan is responsible for reporting across all accounts including Tableau dashboards for key clients as well as analyzing the correlation between media metrics and client KPIs. She collaborates with the media team using mapping, demographic and psychographic data from Nielsen, PRIZM and other sources. Meghan holds a B.S. in Strategic Communication from Ohio University. Foreman most recently served as Marketing Campaign Manager for OptionsHouse and Aperture Group in Chicago, IL. Pepperoni and bacon. It is paradise. Seeing what works, why it works and how to continue to grow and expand. Michelle provides assistance for manufactured housing clients, including more than 300 home centers across the country, supporting the buying, planning and account management processes. She previously worked for the Buntin Group in Nashville and the Varnson Group in Atlanta. She earned a degree in communications with an emphasis in advertising from the University of Georgia. Mike’s areas of expertise include auditing vendor invoices for print and online, insertion order match-up and discrepancy follow-up. His previous experience includes positions in radio sales, sales and marketing, including time spent as the marketing director for an environmental company. Mike is a graduate of Truett McConnell College with a degree in business marketing and attended graduate studies at the University of Georgia. Never hit a girl because she might beat you up. 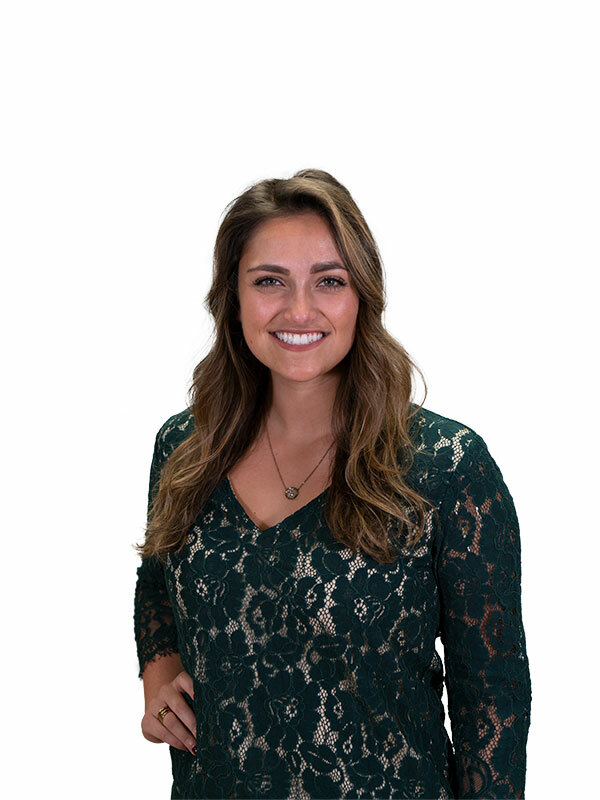 As Marketing Specialist, Miranda primarily manages all Message-Via-Phone (MVP) projects from the client’s initial request to post-project reporting. She is also responsible for creating competitive analysis reports on a quarterly basis for select clients. She is a graduate of North Greenville University, where she earned a degree in general studies. Nancy supports the media buyers through all stages of the media execution process for key health care accounts. Her qualifications include more than 15 years experience in advertising, marketing, account service, media planning and buying, and sales. She is a graduate of the University of Georgia with a bachelor’s in journalism with a minor in business and advertising. Being right down the road from my Clemson Tigers. Ortega works as a Digital Creative Specialist. She works with the Endorsements and Social Media teams for a variety of clients. Prior to joining Infinity, Ortega was a Senior Account Manager at Erwin Penland, where she managed digital and print communications for the Verizon client, including the alignment of culturally-relevant content and messaging to engage the Hispanic audience. Rachel is a recent graduate of Anderson University with a Bachelor’s Degree in Graphic Design. 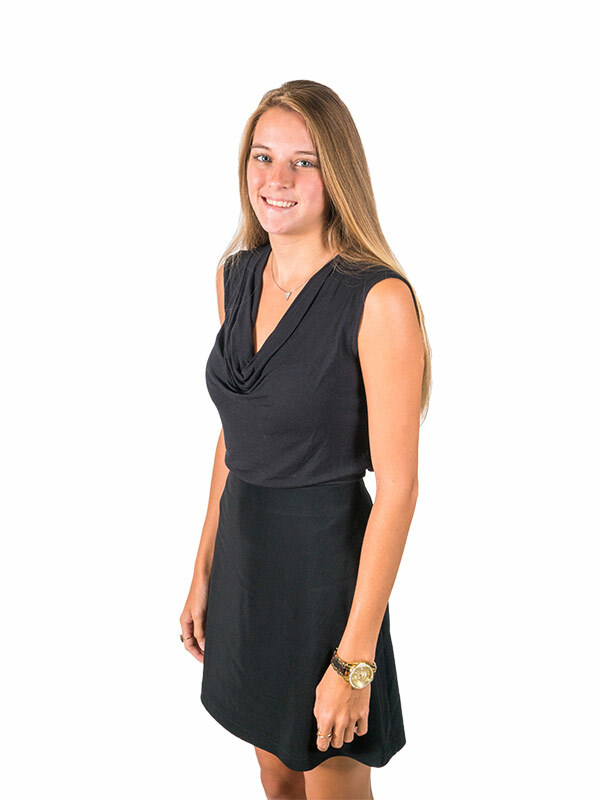 Her most recent work experience is with Ferebee Lane in Greenville. Her responsibilities as a Graphic Designer with Infinity are to produce creative marketing materials and drive creative strategy for clients. Cook! You have more fun and have leftovers for days. Ross serves the manufactured housing team with everything from media plans to endorsement opportunities and copy. He also conducts research and provides general support to the media department. Ross initially joined Infinity Marketing as an intern and then transitioned to media coordinator. He is a graduate of Furman University where he earned a degree in communications. Ryan specializes in creating and designing marketing collateral materials — in both traditional and digital formats — for a number of Infinity’s telecommunications clients. He previously worked at the Greer Citizen as a layout and design artist. Ryan earned an associate degree in graphic design from Greenville Technical College. I don’t like ice cream. Sara Tompkins has interned with Infinity on three separate occasions. She is a graduate from the University of South Carolina Upstate where she earned a Bachelor of Arts in Studio Art with an emphasis in Graphic Design. Tompkins worked with her university as a Student Teacher and Research assistant prior to joining the team. We have a hate-hate relationship. Surround yourself with great people. And puppies. Sarah has her B.A. in Visual Communications from the University of South Carolina, and is currently pursuing her MBA from Clemson. Most recently, she worked for Your Marketing Co. where her most recent title was Art Director. In her position as Marketing Coordinator, she manages creative and production projects to ensure client satisfaction. Watching projects evolve from idea to final product. Shannon works with a variety of clients to create and implement social media strategies, engage and grow targeted audiences and monitor brand management. A graduate of Anderson University, Shannon has over 20 years of professional experience and has worked with clients in a variety of industries, including grocery, healthcare and telecommunications. As Senior Marketing Coordinator, Shannon supports the creative and production team with project management and client deliverables for various client accounts. Nissen is a graduate of the University of South Carolina with a degree in Advertising and previously worked as a marketing and communications coordinator for the Columbia Chamber of Commerce. Steven Laiewski started at Infinity as an intern in the Creative and Production Department and was hired as a full-time graphic designer. Now he assists with materials for Infinity’s key cable clients as a Senior Graphic Designer. 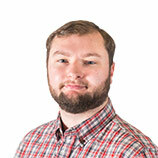 He is a graduate of the Savannah College of Art and Design’s Digital Publishing program and has a bachelor’s degree from the University of South Carolina Upstate. In her role as Senior Graphic Designer, Boyd supports the graphic design team in driving the creative strategy for a variety of clients. She is a graduate of Clemson University, where she earned a Bachelor of Science in Graphic Communication. She previously worked as a Studio Intern with Erwin Penland. Having a can-do attitude. And puppies. Lots of puppies. Thomas comes to Infinity with an extensive background in digital marketing through his previous position with The Focus Group in Gulfport, MS. He is a highly regarded public speaker on the topics of digital media and marketing technologies. He earned his Bachelor’s degree in Management Information Systems and a Master of Arts in Mass Communications from The University of Southern Mississippi. Meat lovers with fresh mozzarella. Tim oversees estimates, workflow and billing for production projects. On behalf of our clients, he manages more than 30 vendors, ensuring timely execution and cost-effective results. Tim has more than ten years of experience in the commercial printing industry, both in sales and on the production floor. Tim is a graduate of Clemson University with a bachelor’s in graphic communications. I love people … Roller coasters, I am not in junior high anymore. Tim joined Infinity Marketing in 2004 and oversees operations and goals throughout the agency. Prior to Infinity, he held executive positions for Charter Communications and Cebridge Connections. Tim has a bachelor’s in marketing from Virginia Commonwealth University and a master’s from the University of Missouri, St. Louis. Tim currently serves as a board member and communications committee chair for the Cancer Survivors Park Alliance. Tony, a Greenville native, began selling local radio advertising in 1984. Frustrated with the structure of the traditional agencies he worked with every day, Tony developed a new model that put media buyers in direct contact with clients and launched Infinity Marketing. Infinity’s success has enabled Tony to support various charitable organizations throughout the upstate. Tori is a graduate of the State University of New York at Oswego where she earned a Bachelor of Arts in Public Relations and Image Management. She comes to Infinity with two and a half years of experience in the industry, previously working with Community Journals in Greenville. She is responsible for website design and development for the company and its clients, in addition to project management within the Creative and Production department at Infinity. Will is a student of Bob Jones University with a double major in Business Administration and Communication. He previously interned with Infinity and since then has been heavily involved in various leadership positions at his school. His responsibilities within the agency include assisting with the creation and sharing of client deliverables as well as developing and executing internal initiatives.